Read the latest news from the ASB Boxscore—The Actuarial Standards Board's newsletter, with progress reports on the ASB's work developing and updating standards. The ASB approved a third exposure draft of a proposed new ASOP titled Capital Adequacy Assessment. The ASOP will provide guidance to actuaries when performing professional services with respect to a review of the resiliency of an insurer through a capital adequacy assessment. The standard applies to actuaries involved in capital adequacy assessment work for life or health insurers (including fraternal benefit societies and health benefit plans), property and casualty insurers, mortgage and title insurers, financial guaranty insurance companies, risk retention groups, public entity pools, captive insurers, and similar entities or a combination of such entities, when affiliated (collectively, referred to as “insurer”). Notable changes include modifications to the scope to expand the term “insurer” to include reinsurers and self-insurance plans; to clarify that groups that include at least one insurer are covered; and to clarify how reviewers of a capital assessment would satisfy the requirements of the ASOP. The comment deadline for the third exposure draft, which can be viewed under the “Drafts” tab in “Current Exposure Drafts”, is March 1, 2019. Information on how to submit comments can be found in the draft. The ASB approved an exposure draft of a revision of ASOP No. 32, Social Insurance. The standard applies to actuaries when performing actuarial services when the actuary’s principal is a government agency with responsibility for the valuation of a Social Insurance Program. The standard also applies to actuaries with oversight responsibility for the actuarial services for Social Insurance Programs when serving as an auditor, reviewer, a member of an actuarial advisory committee, or a member of a technical panel. ASOP No. 32 was originally adopted in January 1998 and updated only for deviation language in 2011. In 2016, the ASB reviewed ASOP No. 32 and appointed a task force to further review and produce an exposure draft of a revised standard. The reasons for the revision included updating guidance to reflect changes in government programs as well as in standards in related practice areas that have evolved significantly since 1998. The comment deadline for the exposure draft, which can be viewed under the “Drafts” tab in “Current Exposure Drafts”, is Feb. 1, 2019. Information on how to submit comments can be found in the draft. Read the latest news from the ASB Boxscore. The ASB adopted new ASOP No. 54, Pricing of Life Insurance and Annuity Products. ASOP No. 54 applies to actuaries when performing actuarial services with respect to the pricing of life insurance and annuity products when a product is initially developed or when charges or benefits are changed for future sales. The standard does not apply to any changes made on in-force policies. A first exposure draft was issued in March 2016, for which 17 comment letters were received. The ASB approved a second exposure draft in June 2017, for which six comment letters were received. Comments from both exposure drafts were considered in making changes reflected in the final ASOP. The standard will be effective for any actuarial services performed on or after Dec. 1, 2018. ASOP No. 54 can be viewed here. The Actuarial Standards Board (ASB) sets standards for appropriate actuarial practice in the United States through the development and promulgation of Actuarial Standards of Practice (ASOPs). These ASOPs describe the procedures an actuary should follow when performing actuarial services and identify what the actuary should disclose when communicating the results of those services. 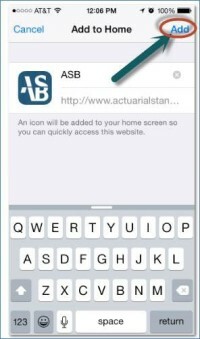 For instructions on adding an icon to your handheld device that directly links to the ASB’s mobile responsive website, click here. © 2019 American Academy of Actuaries. All rights reserved.